Now that the Cleveland Cavaliers have officially signed Derrick Rose, as first reported by The Vertical’s Shams Charania, LeBron James is ready to move on from Kyrie Irving, who has requested a trade out of Ohio, away from the confines of the four-time MVP’s shadow. You might even say James is eager to see Irving go. Rose, 28, the 2011 NBA MVP whose career has been hampered by knee injuries, will come to the Cavs looking for his first trip to the Finals after eight pro seasons. 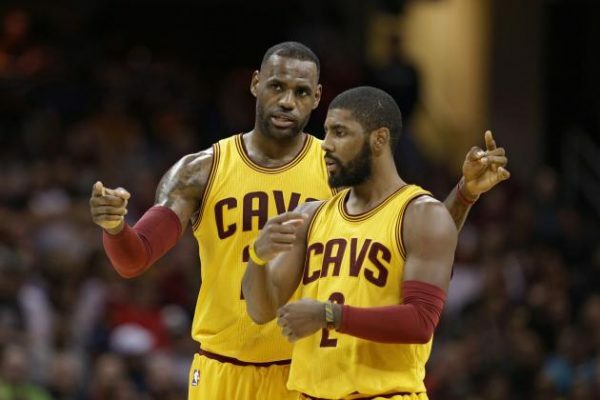 He’s also looking at a potential starting spot in the same lineup with LeBron James, now that Irving has asked for a trade and James is eager to see him off. There is roughly a zero percent chance this has anything to do Rose. It has everything to do with Irving. Rose isn’t going to become an MVP candidate again next to James. Maybe he’ll better. Maybe he’ll learn to play off the ball more. Maybe he’ll even start, depending on what the Cavaliers get back in an Irving deal. More than anything, though, James probably just wants to get on with this situation. The sooner Irving is traded, the sooner he knows what the Cavaliers will look like next season, the sooner he can properly begin tailoring his aims and ensuring the newcomers fit in and play up to his standards. So yeah, he’s waiting on pins and needles for this to end—but not because Rose is a makeshift savior who will completely soften the blow of Irving’s inevitable exit.